David Bowman studies their destination on his iPad Pro while enjoying a delicious meal. Published on Nov 28, 2014. 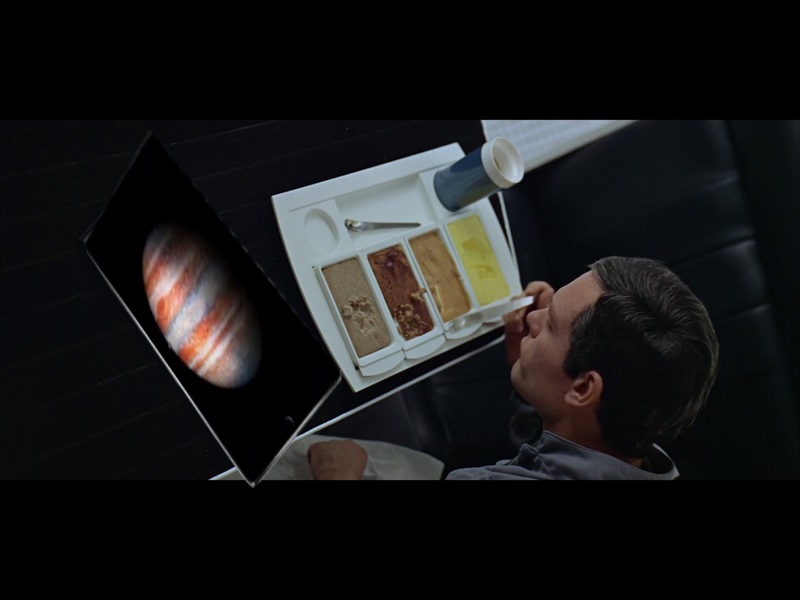 In the week of its UK re-release, 2001: A Space Odyssey stars Keir Dullea and Gary Lockwood explain the sci-fi classic’s enduring appeal.